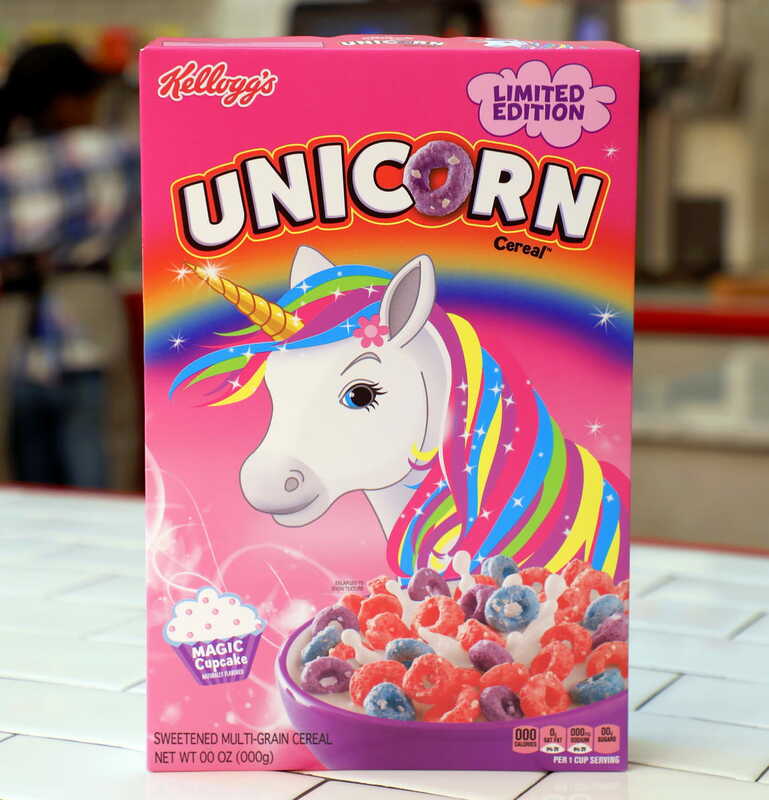 Just when you thought the hype around this fad was starting to die down, Kellogg's injected some new life into the viral kaleidoscopic food trend by launching a unicorn cereal in the U.S. While a version already exists in the UK, the variant we will be getting here is different than the cereal across the pond. Both look like Froot Loops, but the American version consists of a "magic cupcake" flavor rather than the "Unicorn Froot Loops" in the UK. The two cereals also differ based on the color of the cereal loops. The hues that make up the UK's unicorn cereal iare purple, yellow, and red, which are apparently all made with natural colors. While the Kellogg's press release didn't make clear if the colors of the American version are all natural, they definitely are different, with red, blue, and purple loops coated in white crunchy bits. The gimmicky cereal is poised to hit store shelves nationwide next March. Beforehand, though, it will make an appearance at the new Kellogg's cafe in New York City's Union Square, so fans there will have a chance to try it before everybody else.